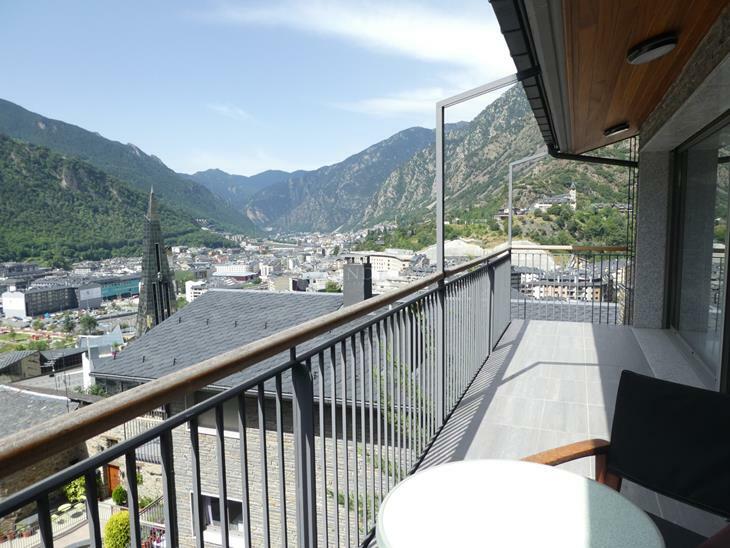 We present a ground floor in a residential complex of high standing, located in the most privileged area of Andorra, Can Diumenge. Every detail has been taken care of so that living in this residential complex is a unique experience. Fascinates the communal spa area, equipped with Jacuzzi, solarium, Turkish bath, sauna, gym and changing rooms. 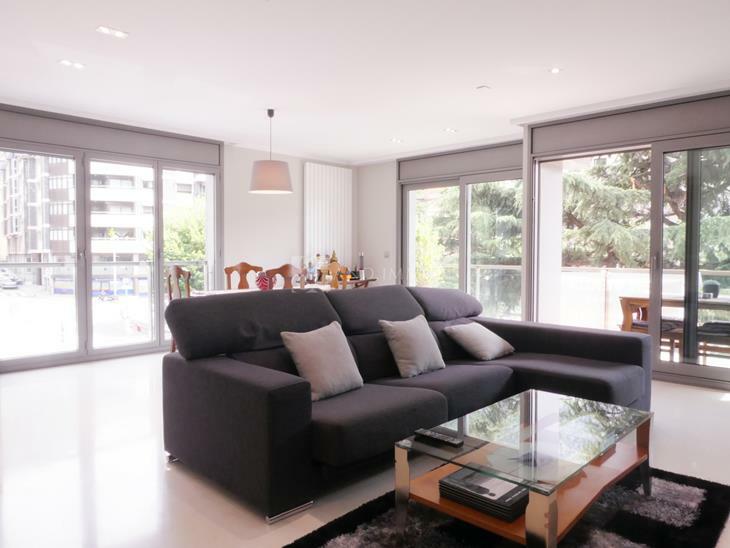 The apartment presented has 156m2 of living space, and 177m2 of gardens, its south orientation allows us to enjoy the sun all day long. The sleeping area consists of 4 double bedrooms, 1 of them is suite with bathroom with whirlpool bath and a spectacular wardrobe. 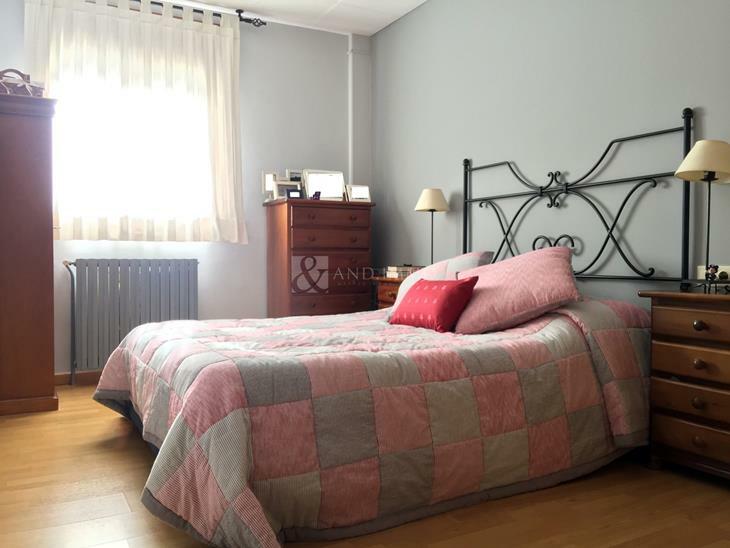 The remaining three bedrooms share two bathrooms, one with a shower and another bathroom. All rooms have large built-in wardrobes. The spectacular dining room makes more than 40m2 and is the protagonist of the imposing fireplace, this leads to the sunny garden with panoramic views over the Principality. The kitchen is equipped with the best appliances of the Neff brand. This property would not be completed without its closed box of 98m2 and the laundry room of 16m2. These details also make this unique property, parquet brand Jatoba, home automation system that allows you to regulate lighting, automatic shutters, alarm system and conditioning hot/cold, underfloor heating and automatic irrigation through the gardens.